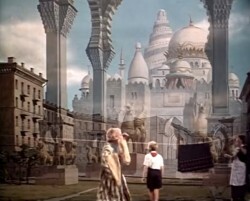 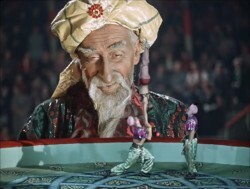 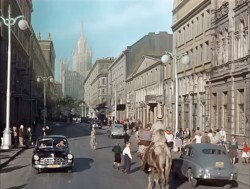 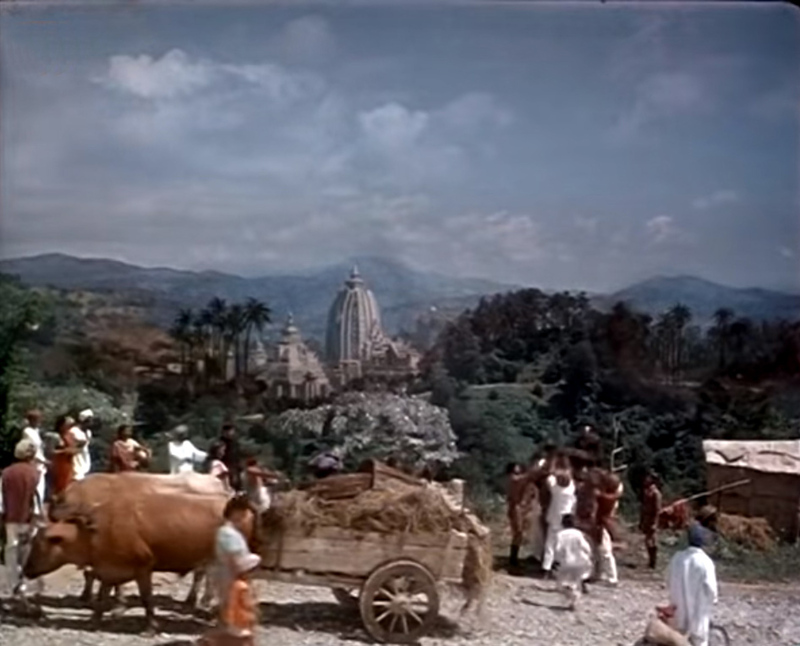 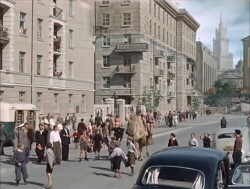 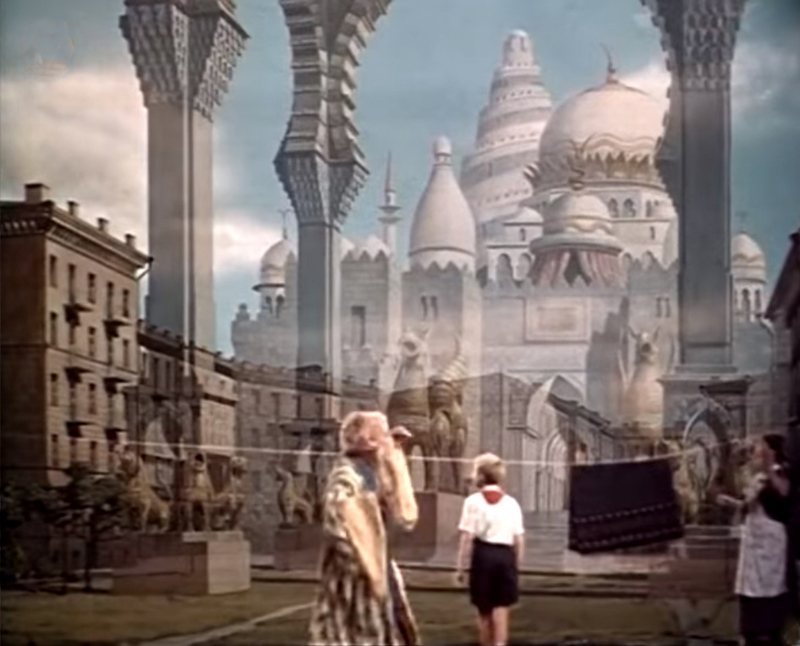 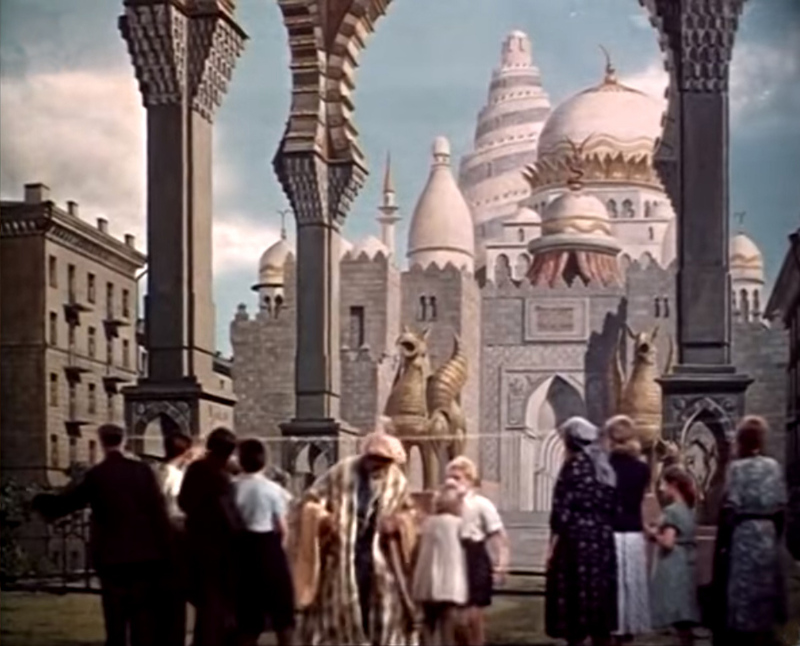 Art director Mikhail Krotkin is credited also at several films as a special effects artist, so there is a chance he was in charge of the matte paintings tricks. 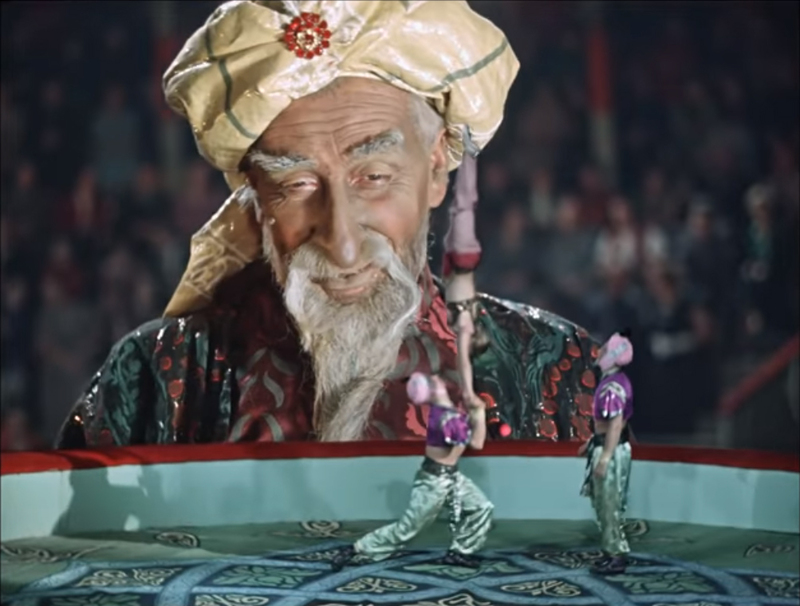 There are some composition tricks to combine different sizes characters. 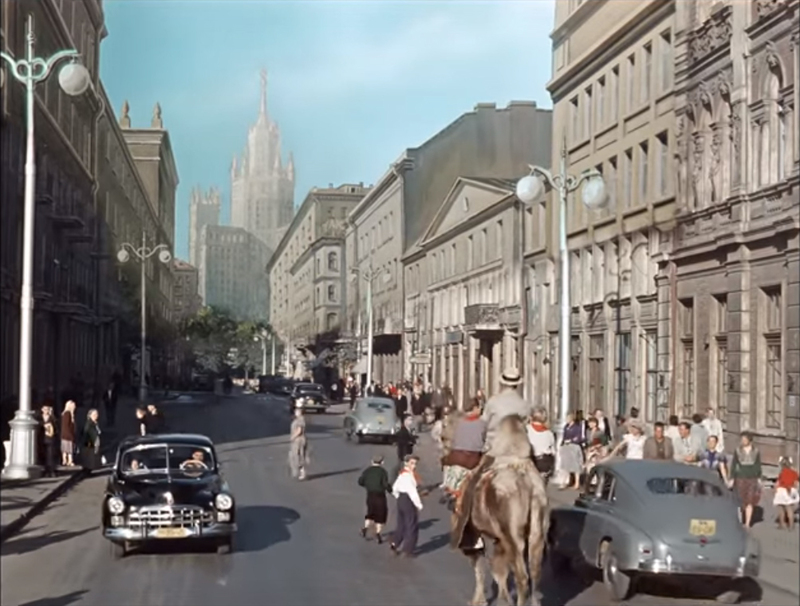 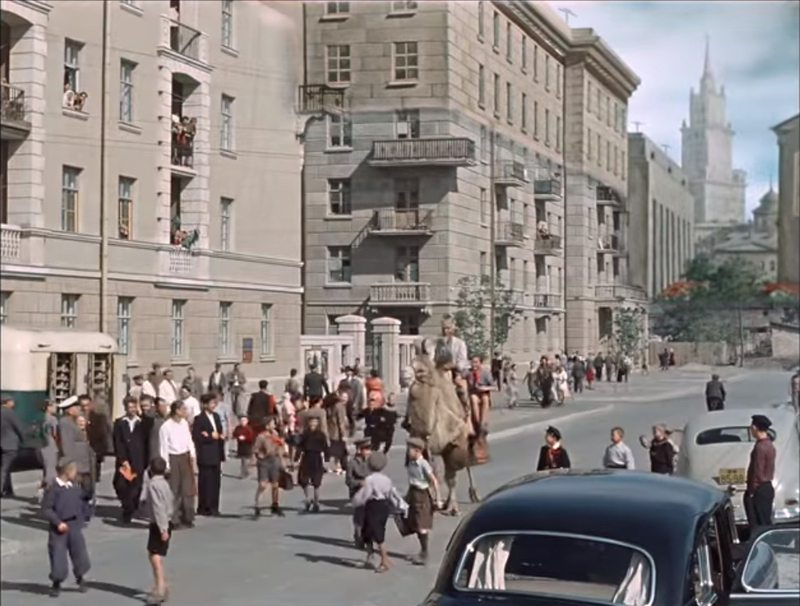 That´s s a very common optical trick on Russian films from that period. 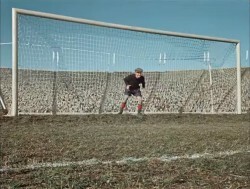 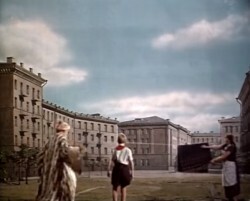 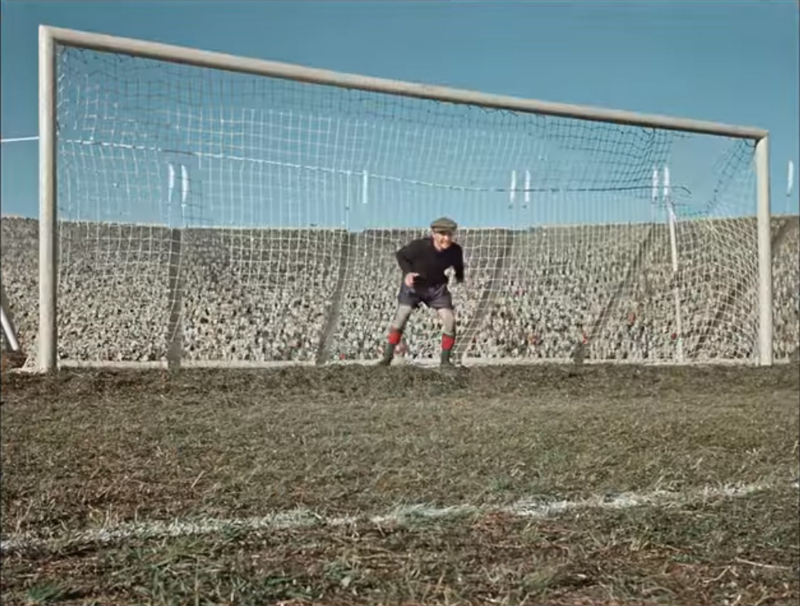 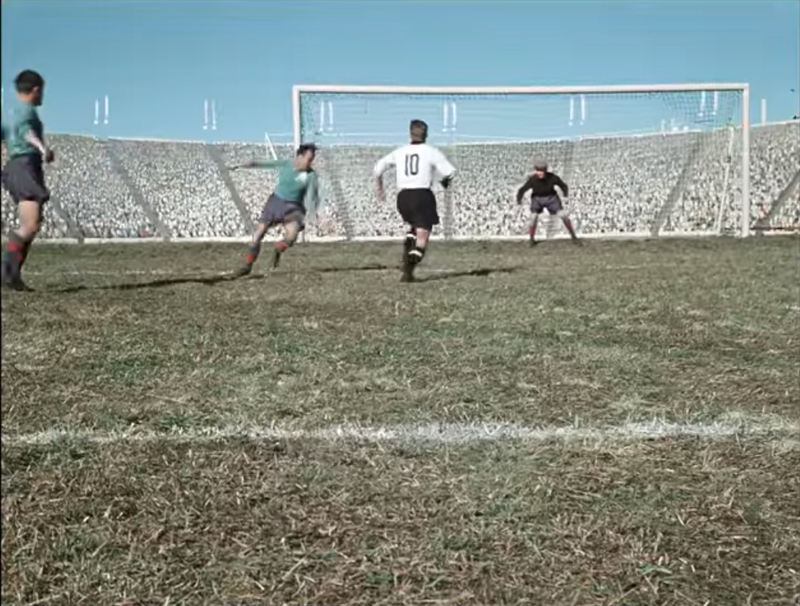 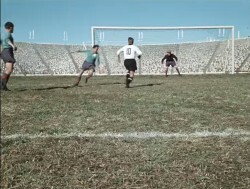 For the football sequence, they used a huge backdrop painting for the stadium stands and the public.